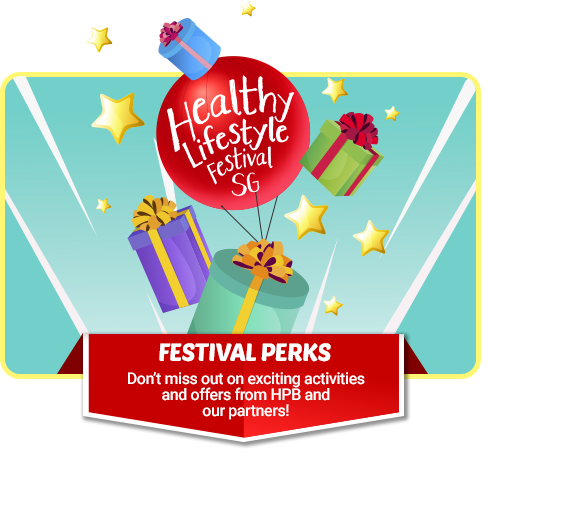 This year’s Healthy Lifestyle Festival SG just got bigger and healthier! 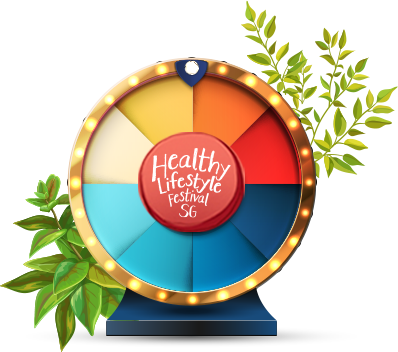 Venture through different worlds and embark on exciting activities complete with the best health tips to kick-start new healthy habits. 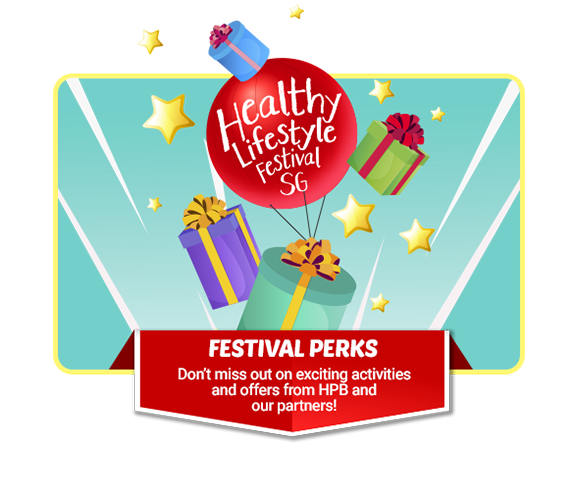 Join us at the Healthy Lifestyle Festival SG and experience the whole quest for yourself. 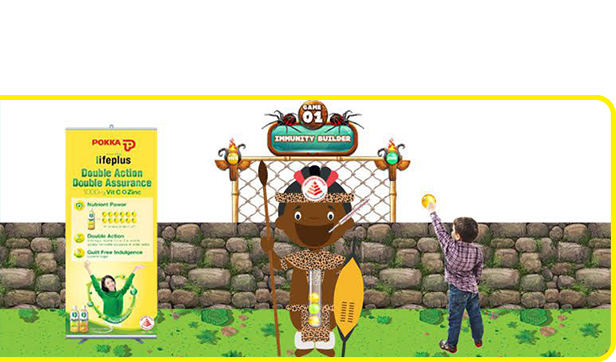 Earn a chance to Spin & Win when you collect 3 stamps on your event passport. Collect all 6 and double your chances! Greetings, Knight of the Nutritious Table! Venture through the larger-than-life land of nutrition and dig into healthy dishes at the realm. 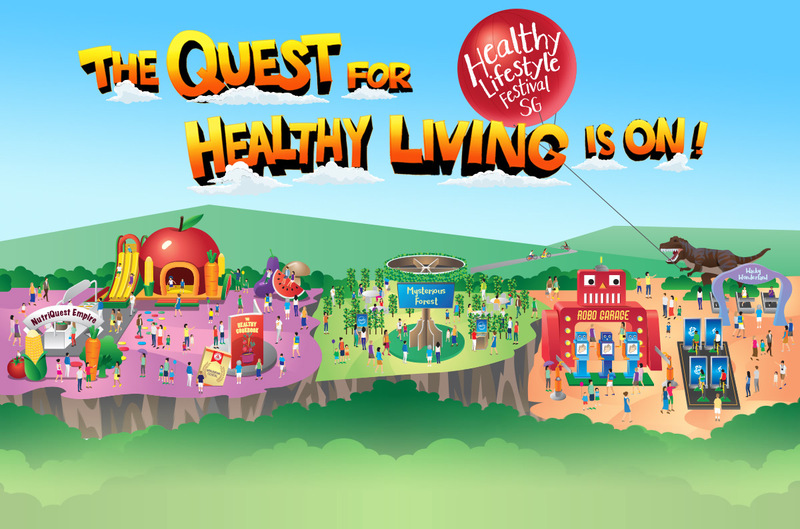 Bounce your way through the Nutri-licious Castle and learn to create your own healthy plate. 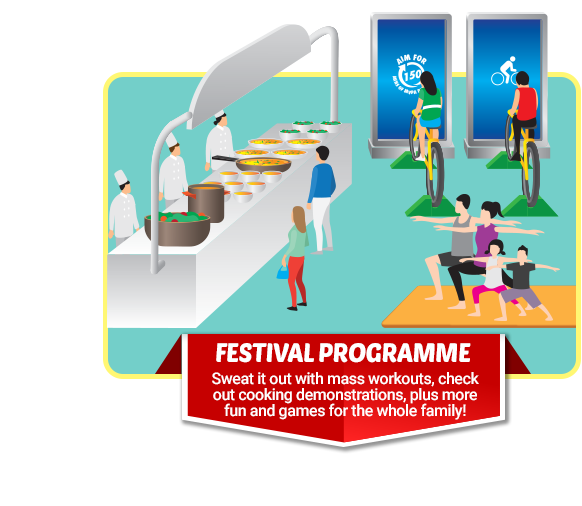 Don’t forget to check out cooking demonstrations and recipes too! Hello Health Mechanic! Are you looking to get a health fix? 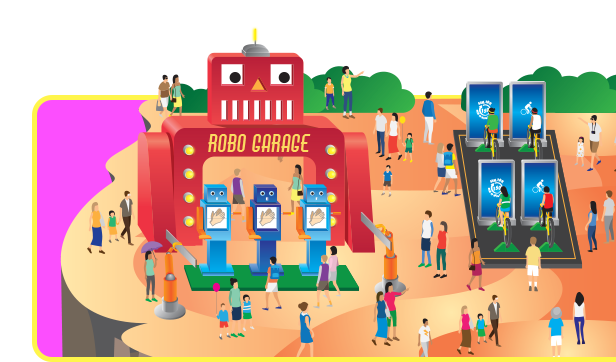 Visit the garage and get equipped with the best health tips and tricks to keep your system up and running smoothly. 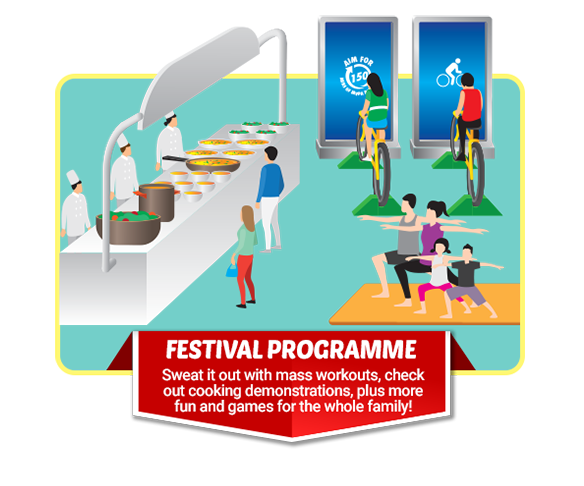 Take part in interactive games like Power It Up! 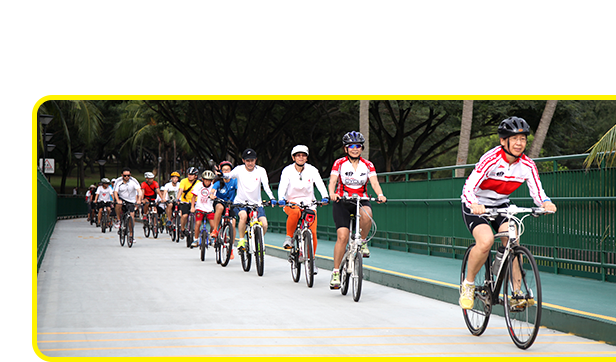 and Beat The Bad as you learn all about the benefits of keeping active and lowering your risks of diabetes. Welcome Active Traveller, to nature’s abode. Free your mind and find rest as we bring your inner health back to balance. Challenge your friends to a game of Kerplunk or put your memory to the test as you learn about keeping an active mind! We’ve even got tips on ageing actively for your golden years. Welcome Wellness Wanderer, into a whimsical world of fun. Explore the wonders of healthy living and dare to imagine the amazing possibilities that good health can bring. 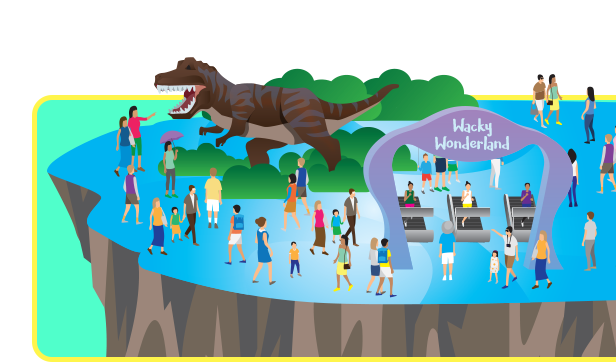 Sweat it out to a roaring good time in Dinosaur Chase, learn about pre-diabetes at the Reverse Café and find out why sleep matters from Captain Sleep! Discover the wonders and rewards of drinking healthy. 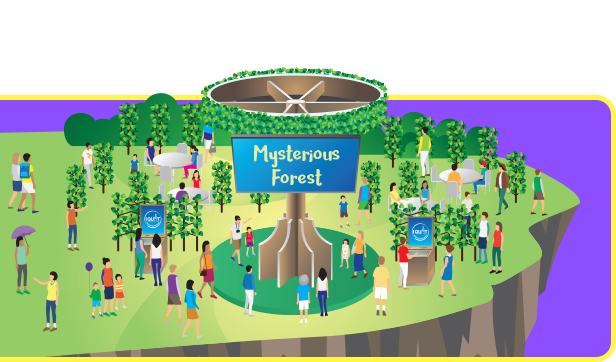 Are you ready for the VITAGEN Less Sugar Digestive Obstacle Course? 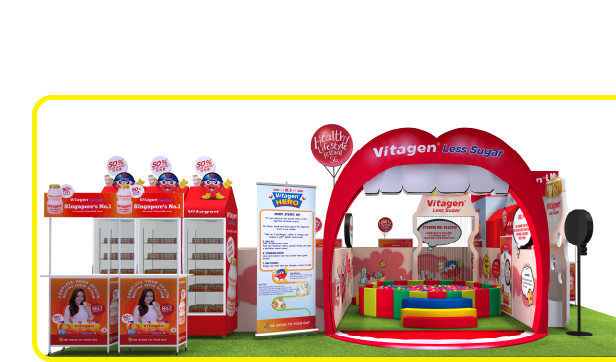 Learn about the digestive system and the importance of healthy choices with VITAGEN Less Sugar. Photo by Philip Au / Sport Singapore. 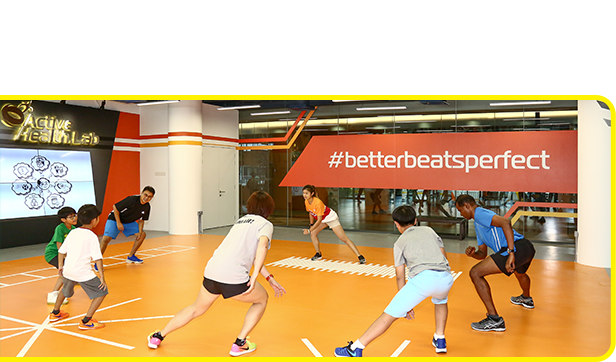 Click here to book your free session with our Active Health experts. 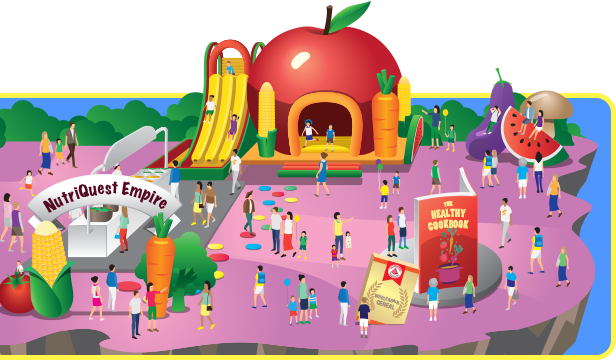 area on 10 and 11 November 2018 at the Healthy Lifestyle Festival SG. 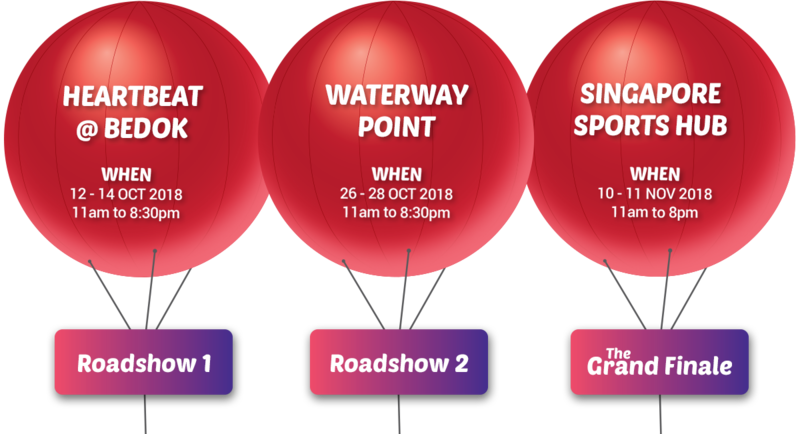 Activities and worlds will vary at each roadshow. 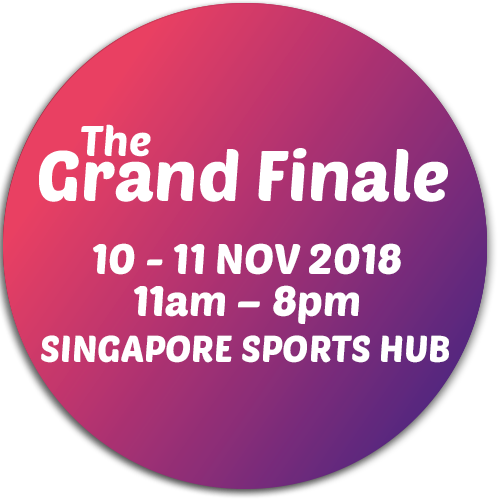 Hang out with Mediacorp’s CLASS 95 DJs Jean Danker and Simone Heng, YES 933’s Chen Ning and Henry Law, as well as FLY Entertainment’s Suhaimi Yusof.